Tabatinga, Brazil, is a sizable town on the Colombian border, near Leticia. 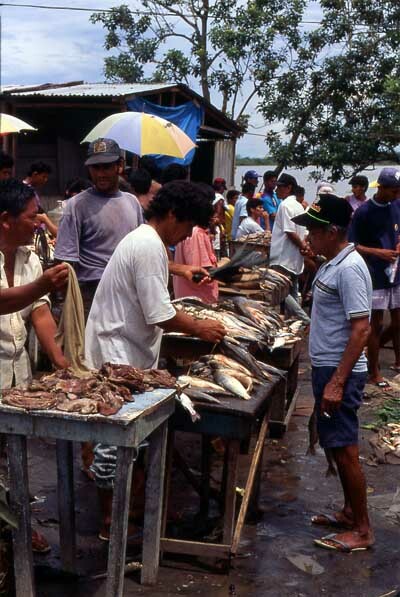 Fish is the main animal produce sold, but vegetables, cooked foods and general merchandise are sold in the ramshackle collection of stalls and huts that make up the market. 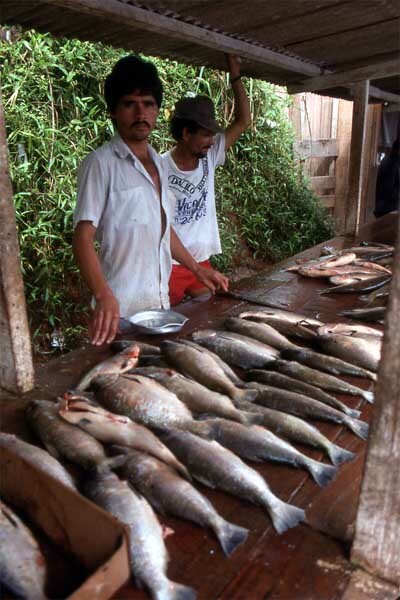 These men are tending their fish stall in Tabatinga, Brazil. The fish appear to be pacu, a favorite species. 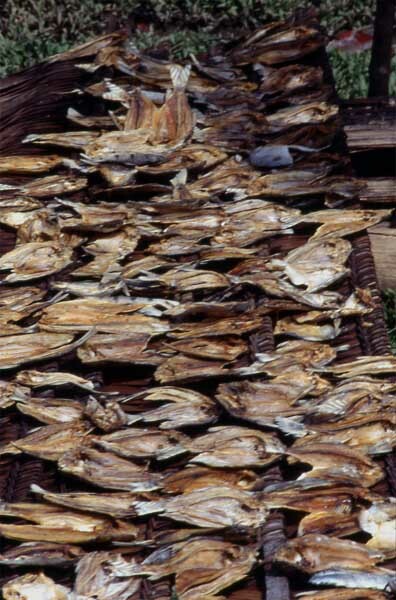 Due to the lack of refrigeration, the most common way to preserve fish is to dry it in the sun. The heavily salted fish now keeps for several months. This photo was taken in the small town of Pevas, Peru.